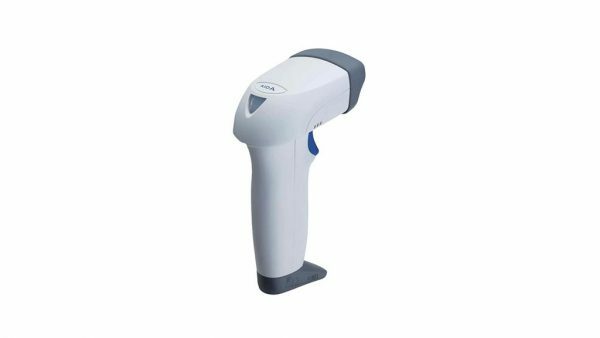 This barcode scanner aims to provide comfort forlong-time use. Maneuverability and durability are realized withthe cross-top lever design. With the built-in high-end “Advanced Scan Plus” technology, the scanner reads two times as faster than all the previous devices,reading barcodes in continuous inspections and thus contributing to the improvement of operation efficiency. Both close-up and long-distance readings are possible. The scanner zooms in on the object for reading with no need to sense its position. Can be used for wide bar codes such as logistic ITF, utility bills, medical supplies GS1-128 (EAN 128), CODE 39 of EIA labels. Impact resistant cross-top lever gives you peace of mind even in emergency. The outstanding durability is well proven through repeated drop test from the height of approximately 1.8m. You can use it with peace of mind even in emergency. The body is made of anti-bacteria and weather durable materials* which inhibit bacteria growth and prevent color changes caused by sunlight, you can use it for a long time with peace of mind. 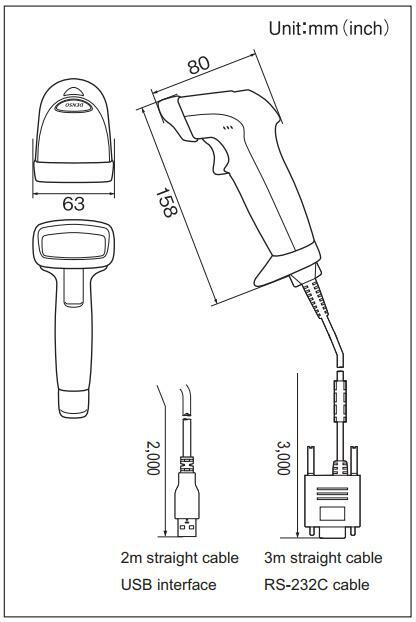 Source: conformity with the JIS Z 2081.